After producing the card in the October Birthdays – Part One post, I wanted to use the gorgeous stamp again in a new way. I came up with the idea of a three-part design with different, rich fall colors. 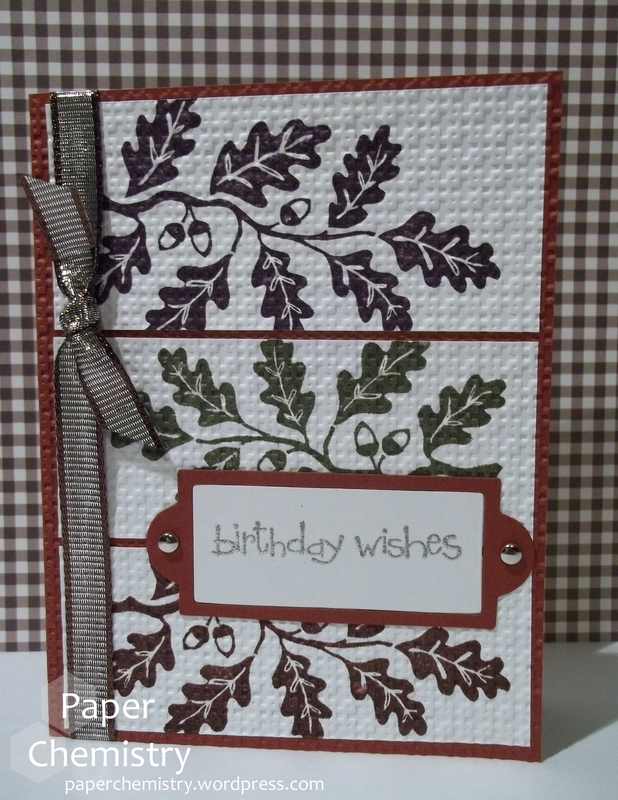 The stamp is by Inkadinkado and the square lattice embossing folder is by Stampin’ Up (I think it’s retired). The frame around the sentiment is a bookplate from Sizzix (also retired), and the sentiment is by Stampin’ Up (a set from a past Sale-A-Bration called So Happy for You). Thanks for sticking around for Part Two!